I had once thought that physical pain would be the number one comment I would have to address in this site. I have found something I least expected. It is itching that is the main complaint and the anxiety that accompanies it when nothing seems to help. So, it seems that it is pain of the mind that is far worse than muscle pain for many of us. The nervous system that never seems to be at rest, aggravating every nerve cell with the infernal itching that never seems to subside, fills us with anxiety and hopelessness. While this particular symptom is troublesome for me periodically, it is the constant anxiety and stress of a flare up coupled with pain and fatigue that I find the most challenging. If not nipped in the bud depression becomes a constant companion. Depression is called the common cold of the elderly and I suspect of those of us with chronic conditions. Since I have had my heart attack in January of this year I have explored and taken part in various educational forums which address the issue of stress. Living now with two chronic illnesses is even more exhausting than I could have imagined. It has left me with many questions that need addressing, such as the kinds of stresses I live with: aging, heart disease and fibromyalgia. Many of the experts I have heard these past few months have focused on the relatively minor ones such as traffic, and other irritants that a person deals with on a daily basis. I have found myself scoffing at these types of stresses as we all have to struggle with aggravations that often annoy us. Life happens! But, what about serious stressors that affect our activities of daily living such as pain, fatigue, fear of dying, loss of independence and other more important issues than being caught in a traffic jam or whether or not we will get our taxes done on time? As someone who has faced mortality I have wanted to point out to these experts that the minor issues they are addressing are not the ones those of us with chronic disease are focused on, trying to cope with our diagnosis/diagnoses along with the daily media hype of serious disasters and crises. My cure for the latter has been to avoid TV and the news but being mindful of my own health risks. While it is true that distorted thoughts are the plague of many of us such as blaming ourselves for our conditions, believing that we will not be able to cope with our diseases or dis-eases, and that the worst will happen, there are some strategies that we can employ which will allow a better quality of life. For many medication is necessary for life saving while for other conditions such as fibromyalgia, medications are less than effective in the long run. But for all these health problems I am back to my mantra of many blogs: exercise, diet and equally as important some form of relaxation/mind work, in particular, Mindful Meditation. In the book by Williams, Teasdale, Segal and Kabat-Zinn The Mindful Way through Depression the concern of itching of one of their clients, Anthony who had been stung by bees was discussed. Using Mindfulness, “Anthony was able to apply skills he had developed in dealing with physical discomfort of itching to discomfort related more directly to emotion. When his body felt tense, rather that getting fed up or trying to ignore it, he was now able to stay inside the tension, breathing with it, moving up close to it, in intimate contact with the various sensations associated with it.”, (p.149). While the hundreds of comments I have received from readers regarding itching none have written to me saying that Mindfulness has been used as a means of controlling this aggravating symptom.I urge those of you who are suffering from this condition to try it! Many have written to discuss their ongoing depression, hoping to find relief with medications and/or working with therapists of different sorts. The field of psychiatry/psychology is not an exact science. In fact, it is more art than science. When dealing with such nebulous conditions as stress, anxiety/panic attacks, and depression the ways in which a person can find professional help other than with medications is through mind work. Of all the types of mind work Mindfulness Meditation has become the most popular and is a burgeoning field.Finding a therapist who is encouraging of working with such strategies as body scans, walking meditation, mindfulness, chi gong, tai chi, among other practices to calm the mind and take us down other brain paths than those of stress and anxiety is crucial to a better quality of life.Exercise, Diet and Mindfulness are the big 3 when dealing with stress and anxiety. I’m so glad to see you covering the very under-appreciated topic of BIG cardiac stress (as opposed to LITTLE stuck-in-traffic stress). I have found, however, that being stuck in traffic, for example – especially if I’m on my way to a doctor’s appointment or some time-sensitive destination where I do NOT want to be late – can commonly exacerbate chest pain symptoms of coronary microvascular disease. So then, on top of the overall daily psychosocial pain of living with heart disease (fear of dying, loss of independence, as you say), the relatively minor stressor of slow traffic can ironically cause even more symptoms, thus causing even more stress. The other day I couldn’t find my house keys – a relatively no-brainer scenario in which I knew they’d turn up somewhere any minute now (in a pocket, my purse, left under the newspaper on a table) but I was thunderstruck by how debilitatingly agitated such a small incident made me feel. A vicious circle. I used to have this healthy privilege attitude, all my life, before my heart attack. And I was rarely ever one to get my knickers in a knot (too many decades spent in PR juggling multiple deadllines, all due yesterday – staying calm as a cucumber, otherwise I wouldn’t have lasted two days in that profession!) Things are far different now – and perhaps I’m now so aware of how anxiety and chronic stress can harm my delicate endothelial cells in my coronary arteries, I’m hypersensitive about external circumstances that may threaten bigger stress (like running late, for example) and will try to plan ahead for every possible scenario to mitigate those stressful moments if I can. Long ago, I quoted your article here about ‘goodism’ and self-sacrifice as a factor in fibromyalgia (Florence Nightingale, for example) and I suspect that living like that may predispose women to both fibro and heart disease. Hi Barbara. Can you recommend the best Tai Chi (qigong?) 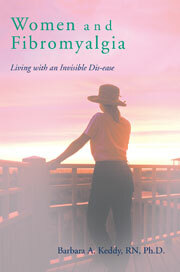 DVD for fibromyalga slow and soothing music and demonstrated by a woman? I haven’t seen it but Earth Qigong for Women by Tina Zhong seems like one you might want to check out? Deep breathing helps to reduce the level of cortisol, which helps to reduce stress and anxiety. Listening to soothing music and making your place colorful, spending some time in greenery will helps to reduce anxiety and depression. Thanks Paul. The chronic anxiety of those of us with fibromyalgia is a demon we all have to conquer. There are so many approaches to relaxation but above all BREATHING is the most important! We have a tendency to hold our breath under stress and then the flare-ups occur!